fairplay initiative: International participation in the "Vienna Calling Cup"
International participation in the "Vienna Calling Cup"
Last weekend (15th, 17th - 18th June 2017) the Balkan Alpe Adria Project (BAAP) organised an international youth tournament in three age groups (U8/U9/U10) in the framework of the project "Football Zajedno" in cooperation with the Viennese clubs SC Süssenbrunn, KSC/FCB Donaustadt and KSV Siemens Großfeld. A total of 58 teams from five countries (Austria, Bosnia and Herzegovina, Montenegro, Serbia and Hungary) took part in the tournament on the three days. Among the 607 children were 49 girls. One of these teams was Skola Fudbala Respect, a football school in Sarajevo, which is very focused on the inclusion of socially disadvantaged and physically impaired children. Part of the boys and girls of SF Respekt are orphans. The tournament of the youngest age group U8 won the football school BAAP Evrogol in the final against Soproni VSE. In the U9-final the team of the SUSA Academy from Vienna against BAAP BiH remained successful. Already on Thursday, June 15, SV Donau won the "Donaustadt am Ball" tournament – that was supported by ASKÖ Vienna – for U9 teams in the final also against BAAP BiH. The U11 tournament was a matter of Novi Pazar from Serbia who won their final game against FK Tutin. 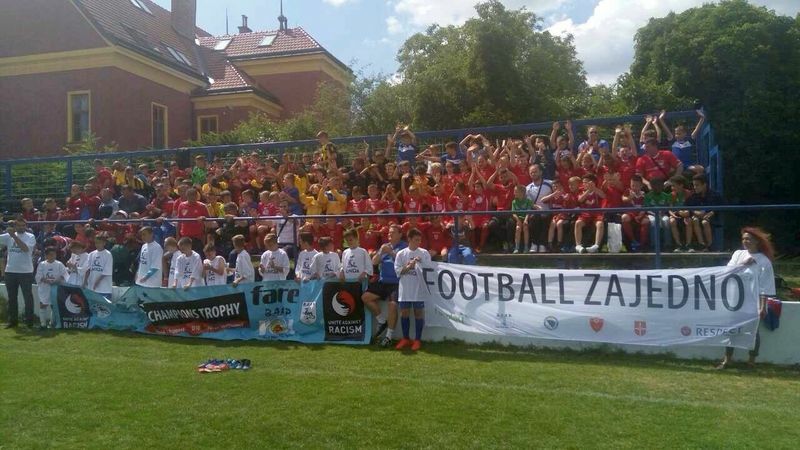 One part of the "Football Zajedno" project is to support teams from the partner countries in their participation in youth tournaments and youth exchanges. In the 2016/17 season the qualification of ten teams for the "Champions Trophy" was made possible. The final tournament for U10 teams also took place last weekend in the Südstadt (nearby Vienna), Brunn am Gebirge and in Vienna. Among the participating teams from the "Football Zajedno" partner countries were Red Star Belgrade, FK Sarajevo, BAAP Sunce Ruma, FK Igalo 1929, FS BAAP Evrogol Pelagicevo, Zeljeznicar Sarajevo, BAAP Bosnia, FK Bistrica Novi Sad, FK Tutin and a city selection of Mostar. The "Vienna Calling Cup" is part of the joint "Football Zajedno" project, supported by the Football Associations of Bosnia and Herzegovina, Montenegro and Serbia under the UEFA HatTrick programme. The project is implemented by the fairplay initiative in cooperation with BAAP.